Blind-folded and heavily-guarded, these Japanese arrive at Dutch Harbor, Alaska - but in the role of prisoners rather than fighting men. A naval engagement in Aleutian waters resulted in the capture of these three other Nipponese. 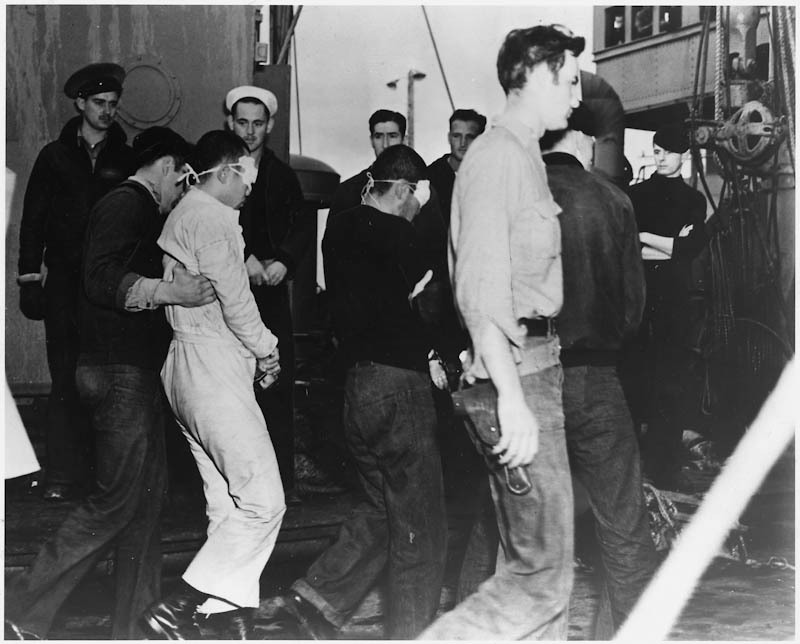 “Captured Japanese sailors,” USU Digital Exhibits, accessed April 21, 2019, http://exhibits.usu.edu/items/show/18768.